When a section of your eye lens, or both of the lenses, become clouded, this is known as cataracts. While cataracts are thought of more frequently with regards to eye care for the elderly, it is possible (though not common) to get cataracts at a much younger age. 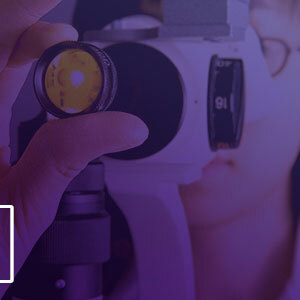 Typically, cataracts can become an issue after the age of 60, even though the condition can begin to develop much earlier, even in one’s forties. These are the typical early warning signs of cataracts that eye doctors see most often. 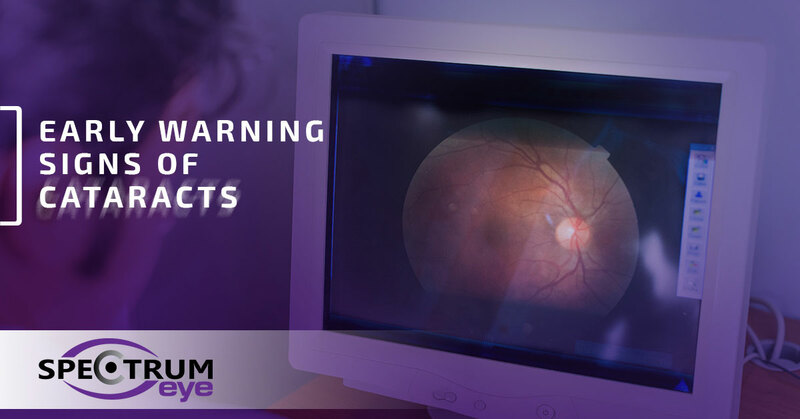 While these symptoms may appear with other eye conditions as well, a combination of impaired vision with one or more of the next symptoms points to the possibility of having cataracts. When the lenses become clouded, an increased sensitivity to light may develop. If you’re fine indoors, but as soon as you step outside you feel discomfort with the increased level of brightness, cataracts may be starting to develop. Some people in the early stages of this condition may not notice anything until they’re in a really bright setting, such as a sunny afternoon at the beach. Others may not be sensitive to brightness per se, but may find glare to become increasingly difficult to deal with. That’s because the changes on the lens itself can accentuate refracted and reflected light, thus multiplying the effects of glare. Another common symptom is seeing fuzziness around lights, giving the effect of seeing “halos.” Again, the reduced transparency of the lens, combined with an increase in refracted light, creates this effect. You may notice seeing these halos when you look at headlights against the dark, or when you observe other lights in high-contrast settings. Colors may not be as bright to someone with cataracts. Because the clouded part of the lens may also become discolored, the perception of color often changes for someone with this eye condition. Colors may seem to fade or yellow as the condition progresses. While cataracts may seem an inevitable part of aging for many people, the good news is that this eye condition is very treatable. Clear vision is important to all of us, and with the help of eye doctors, we can continue to enjoy crisp, full-color vision well into our sixties and beyond. If you’re experiencing any of these symptoms, schedule your eye exam with Spectrum Eye Care. We are conveniently located in Colorado Springs to serve a large segment of our Southern Colorado and Front Range populations. Make your appointment with us today!